All active members are cordially invited to join us at Ecliptic Brewing Company on February 13th for a great out meeting. 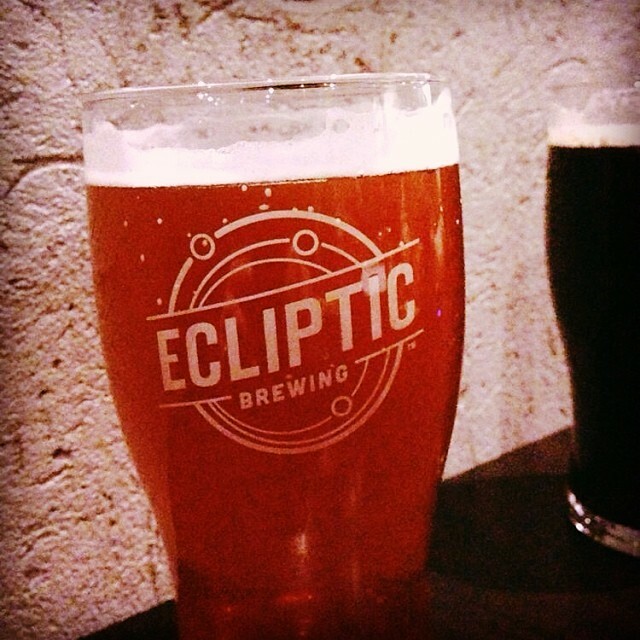 Ecliptic is a new venture from John Harris, an Oregon craft brewing icon who has brewed for McMenamins, Deschutes, and Full Sail. He is truly a legendary brewer that has helped shape the Oregon craft brewing scene - he created the recipes for Mirror Pond, Black Butte Porter, Jubelale, and Obsidian Stout. After a brief bit of OBC business, we'll turn the meeting over to John to discuss his place and provide us with a tour. This is your chance to meet the legend himself and pick his brain for some brewing wisdom. You do not want to miss this meeting. Doors open to members at 7pm. All members should enter through the main entrance, and proceed to the brewery for check-in. The club will host the first pint for each member at this meeting. After that, members can purchase additional pints at a reduced rate. This is NOT a dinner event. The club will be hosting some light fare. However, please plan to eat before you arrive or after the meeting. We are planning to video record portions of this meeting as part of our application for the AHA's Radegast Award. So, please be advised that you may be included in the video if you attend this meeting. This could be your chance for 15 seconds of fame. We are able to accept membership renewal payments online. To save time at the check in table on meeting night, you may log in to your personal account at oregonbrewcrew.org and renew from your profile page. If you are having problems logging into your account you may be using a different email address that what you have registered, or may need to do a password reset. Please don't hesitate to let us know if you need assistance.